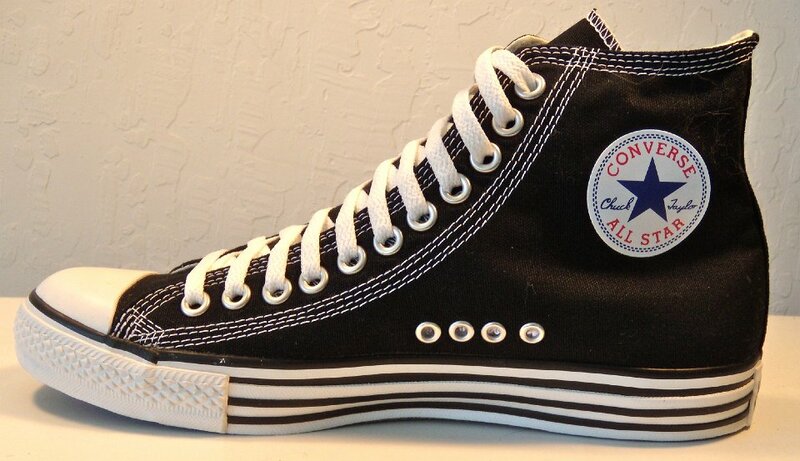 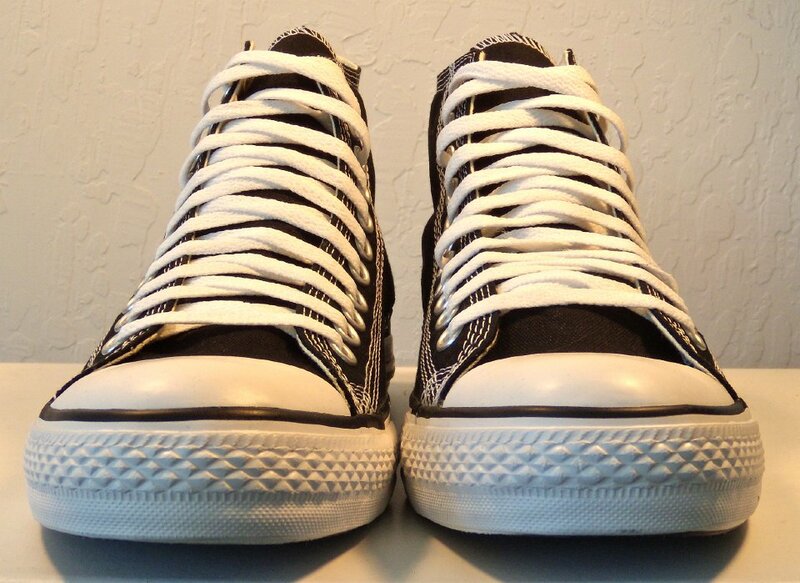 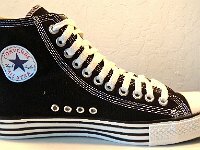 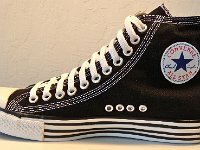 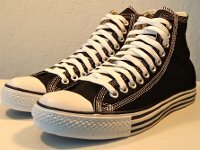 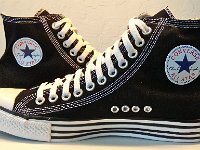 Photo gallery of black and white double details high top chucks. 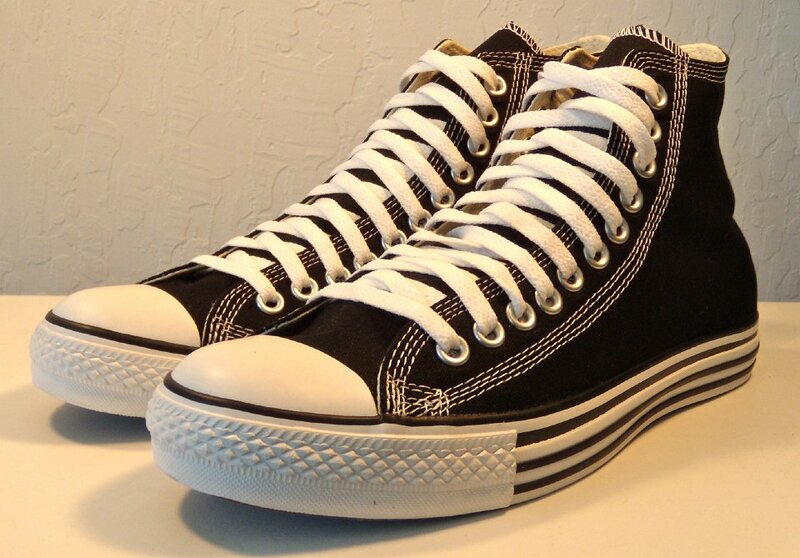 1 Double Details High Top Chucks Inside patch view of a left black double details high top. 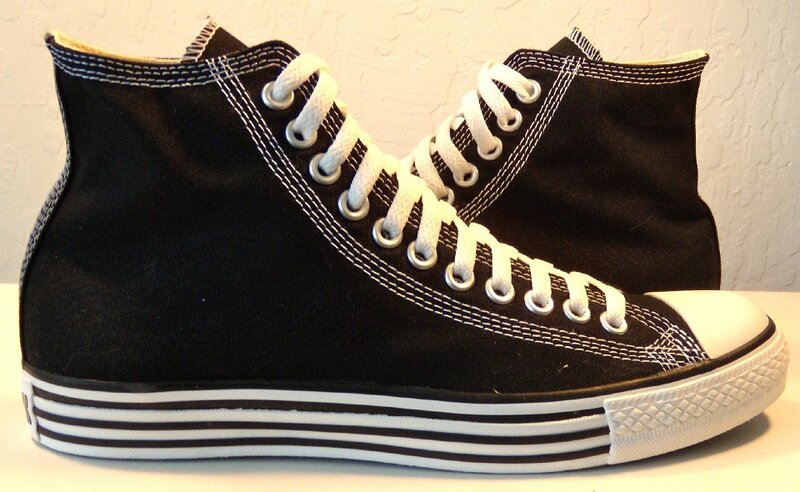 2 Double Details High Top Chucks Outside view of a left black double details high top. 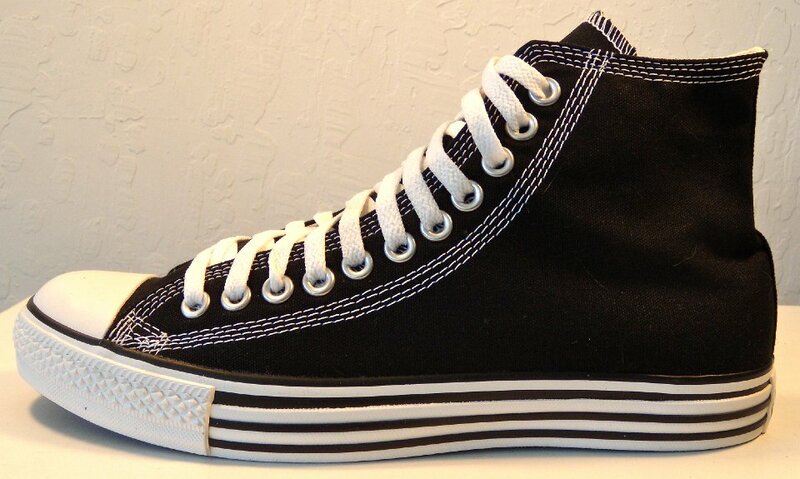 3 Double Details High Top Chucks Inside patch view of a right black double details high top. 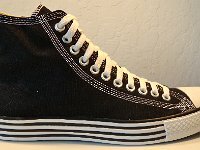 4 Double Details High Top Chucks Outside view of a right black double details high top. 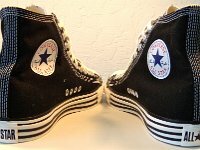 5 Double Details High Top Chucks Rear view of black double details high tops. 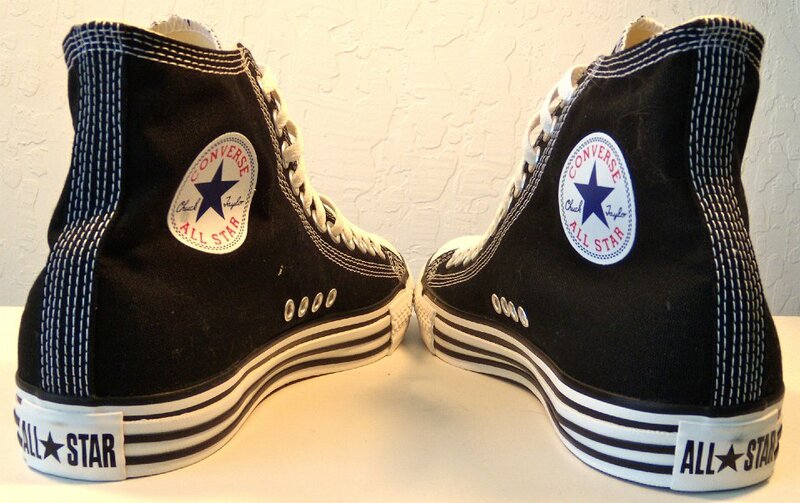 6 Double Details High Top Chucks Angled rear view of black double details high tops. 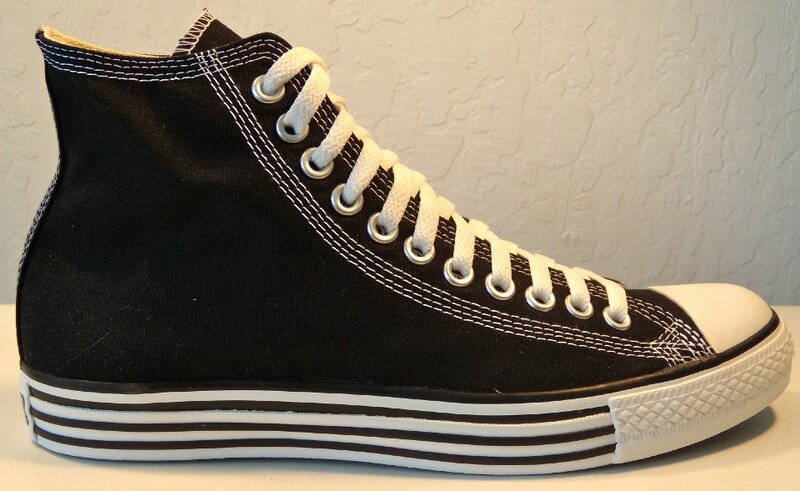 7 Double Details High Top Chucks Angled side view of black double details high tops. 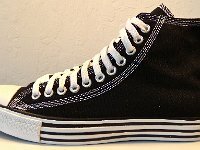 8 Double Details High Top Chucks Front view of black double details high tops. 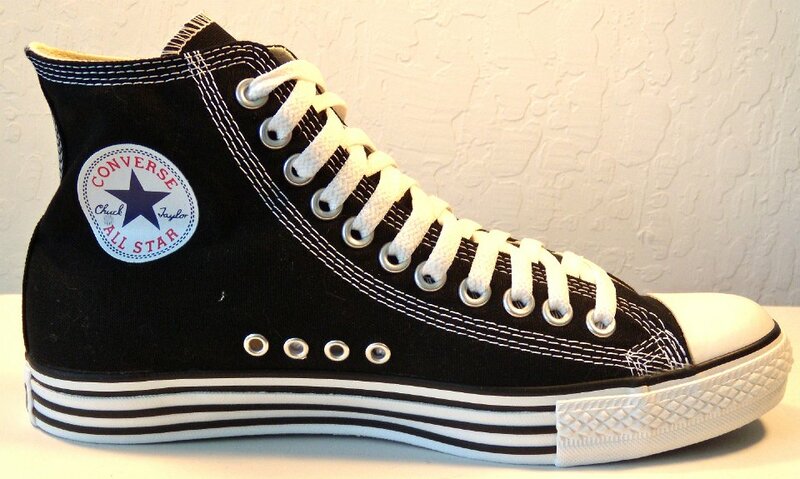 9 Double Details High Top Chucks Angled front view of black double details high tops. 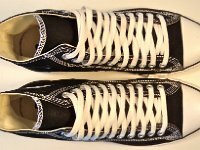 10 Double Details High Top Chucks Top view of black double details high tops. 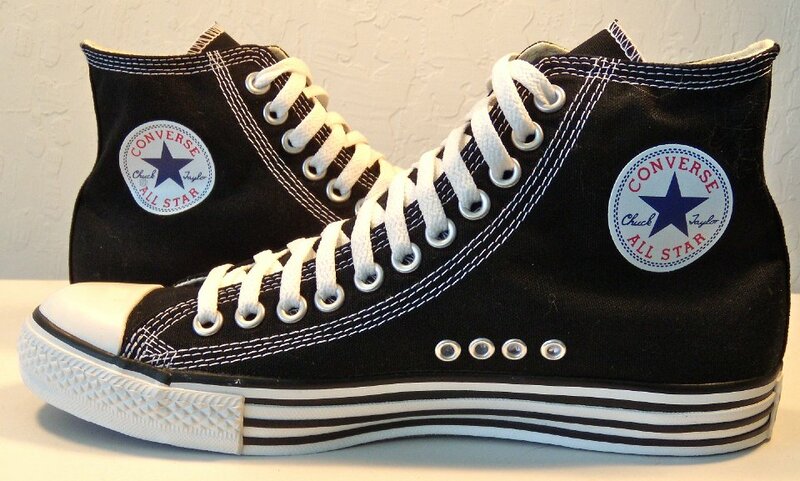 11 Double Details High Top Chucks Inside patch views of black double details high tops. 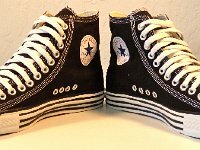 12 Double Details High Top Chucks Outside views of black double details high tops. 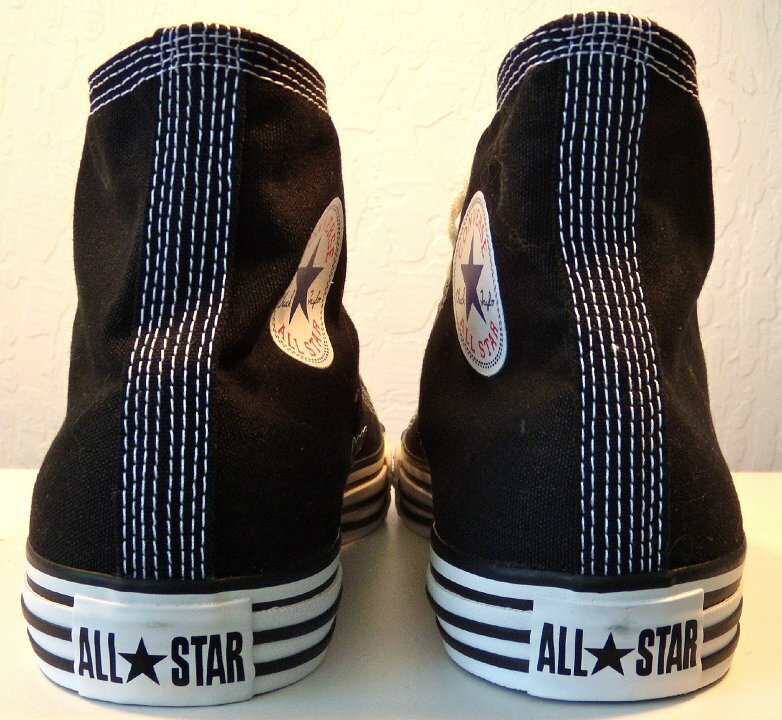 13 Double Details High Top Chucks Inside patch and sole view of black double details high tops. 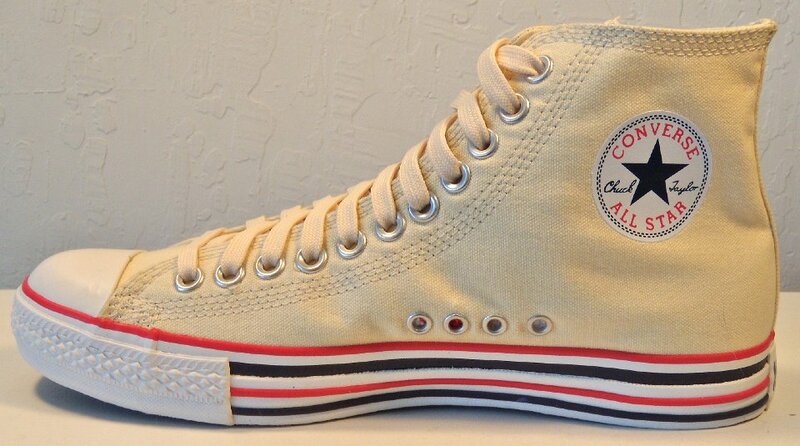 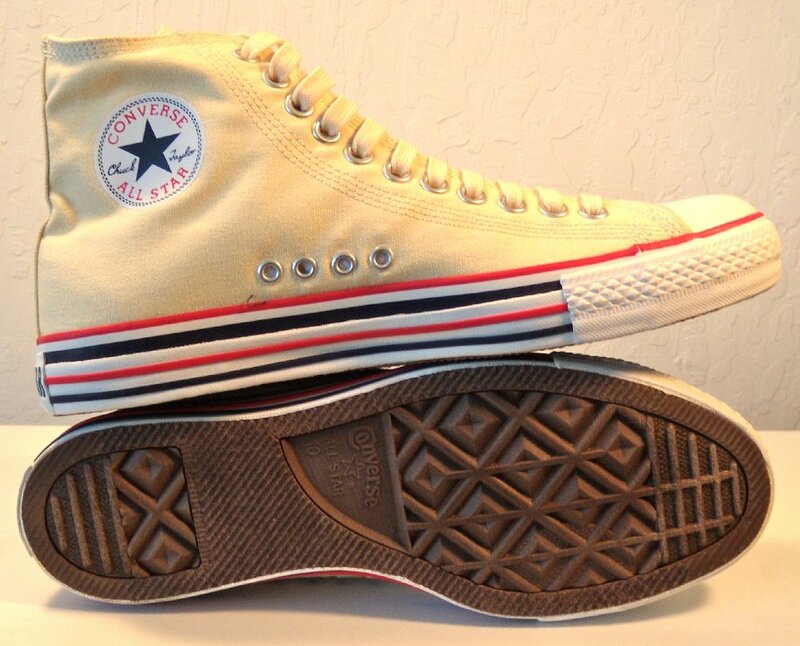 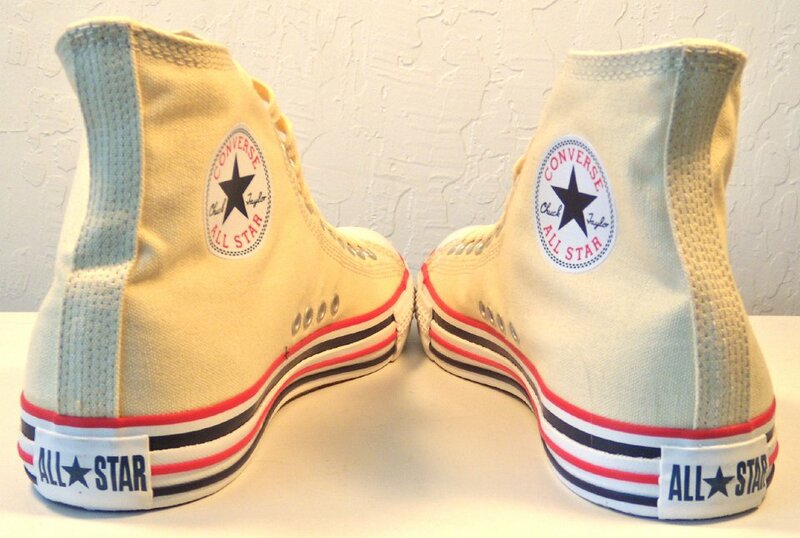 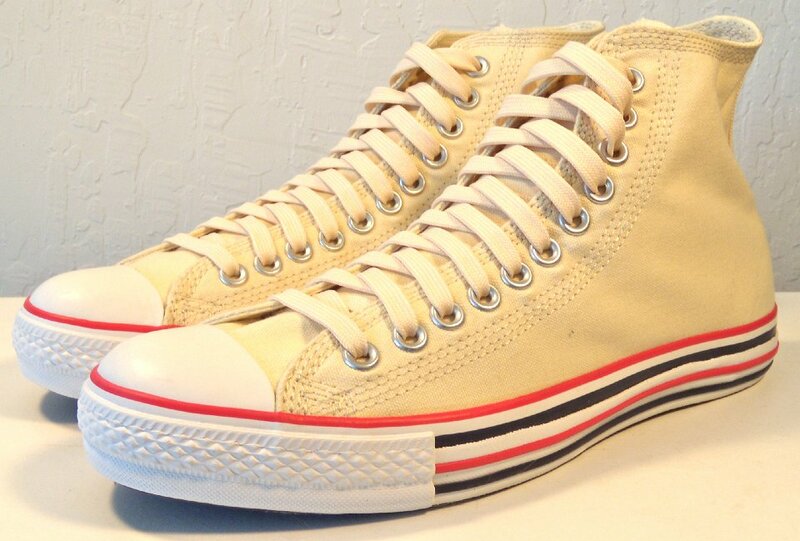 14 Double Details High Top Chucks Inside patch view of a left natural white double details high top. 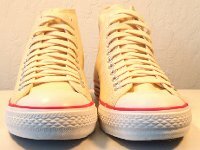 15 Double Details High Top Chucks Outside view of a right natural white double details high top. 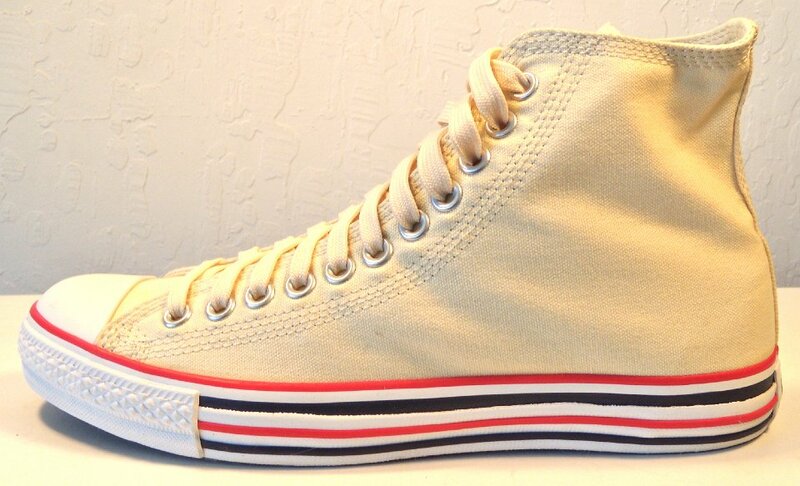 16 Double Details High Top Chucks Inside patch view of a left natural white double details high top. 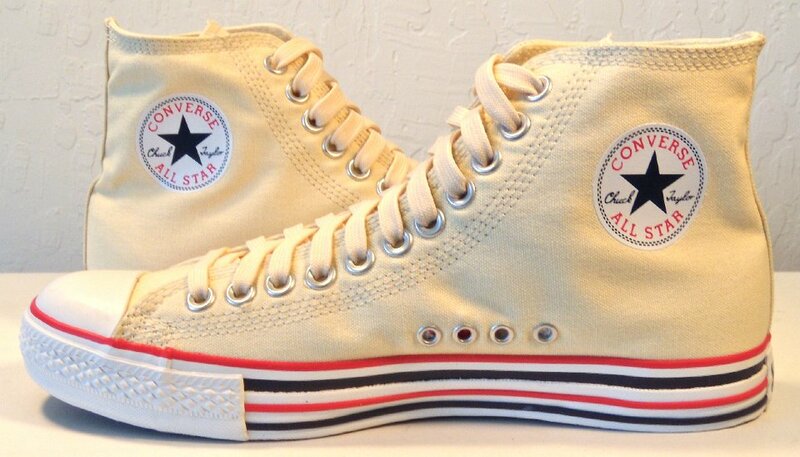 17 Double Details High Top Chucks Outside view of a left natural white double details high top. 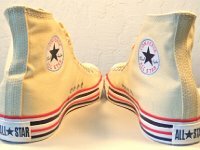 18 Double Details High Top Chucks Rear view of natural white double details high tops. 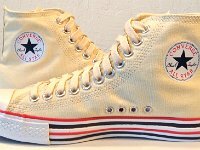 19 Double Details High Top Chucks Angled rear view of natural white double details high tops. 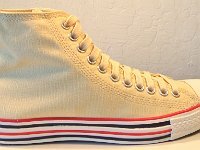 20 Double Details High Top Chucks Angled side view of natural white double details high tops. 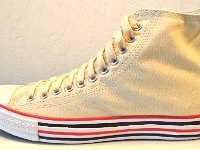 21 Double Details High Top Chucks Front view of natural white double details high tops. 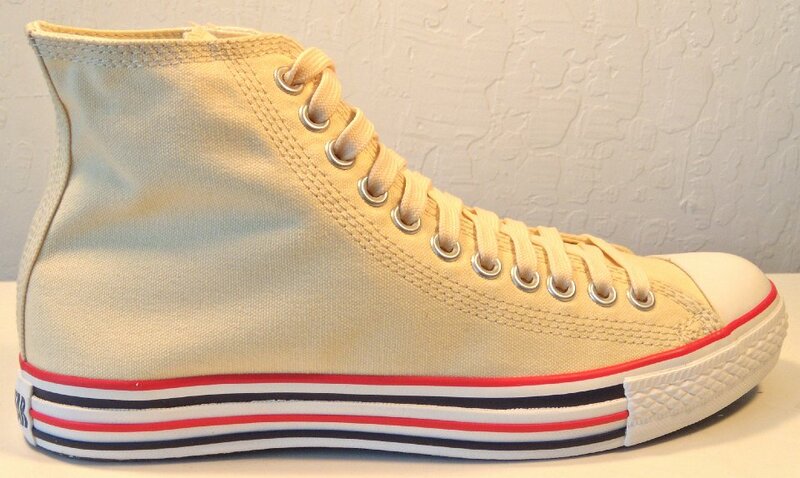 22 Double Details High Top Chucks Angled front view of natural white double details high tops. 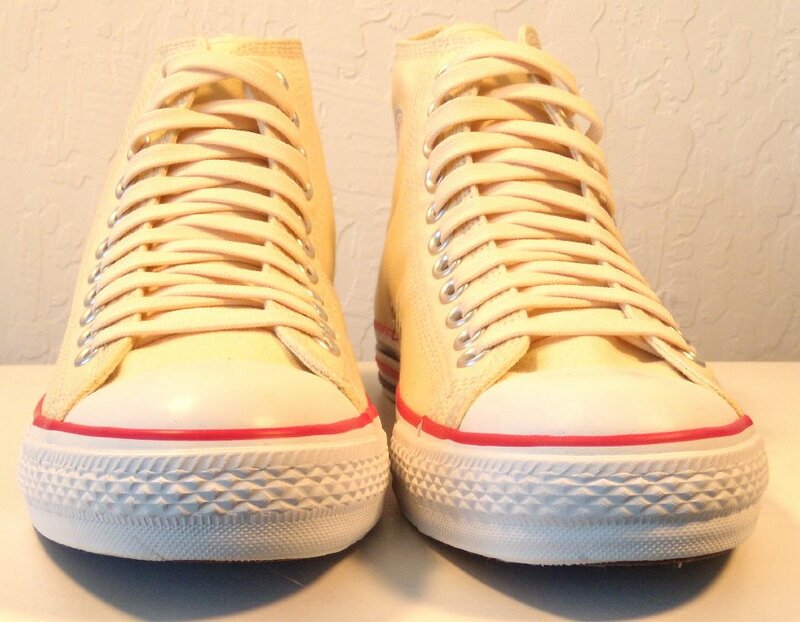 23 Double Details High Top Chucks Top view of natural white double details high tops. 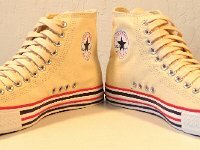 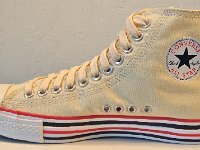 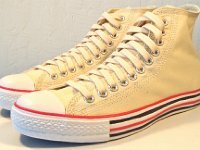 24 Double Details High Top Chucks Inside patch views of natural white double details high tops. 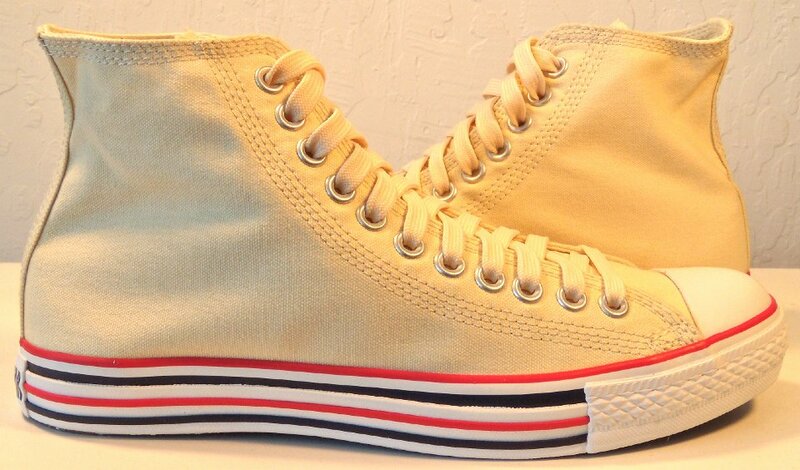 25 Double Details High Top Chucks Outside views of natural white double details high tops. 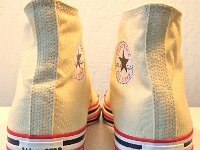 26 Double Details High Top Chucks Inside patch and sole view of natural white double details high tops. 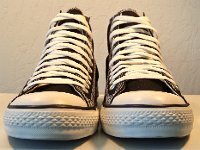 Double details high top chucks were first made for the 2008-2009 season. 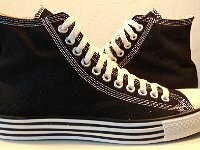 Everything that normally is in pairs has been doubled in quantity. 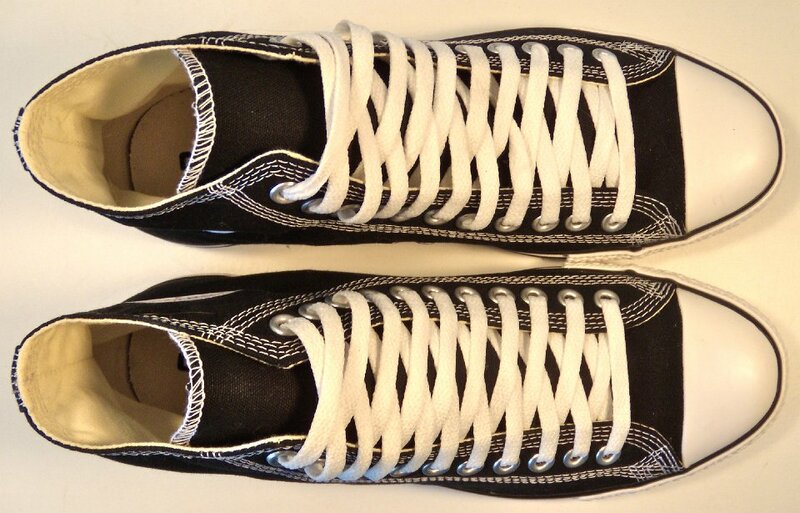 There are double the lacing eyelets and four eyelets for breathing. 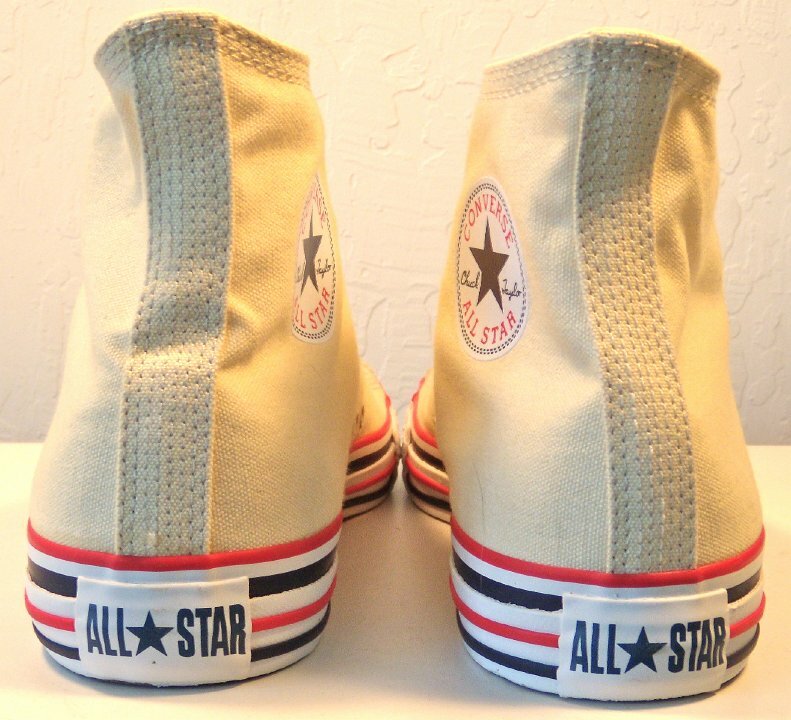 All the stitching is in groups of four instead of two on the canvas uppers. 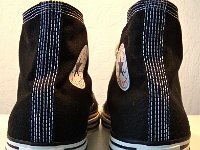 The piping on the outer wrap has been doubled. 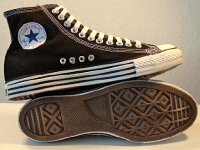 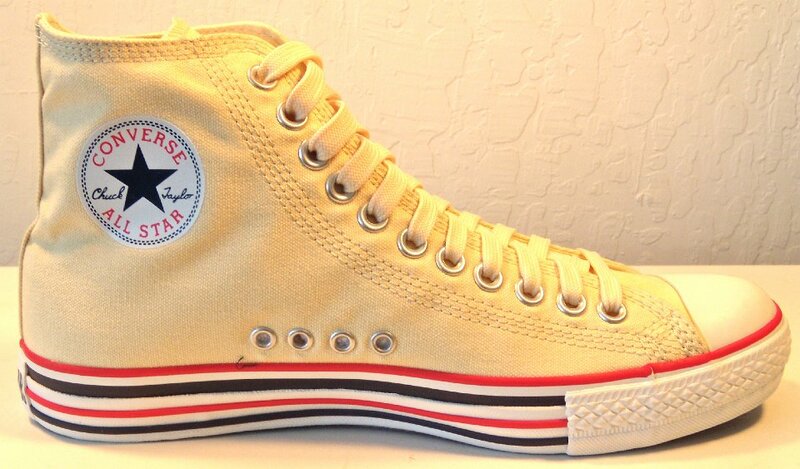 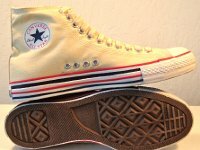 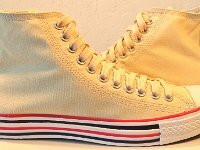 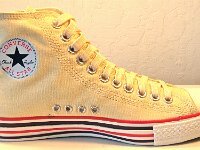 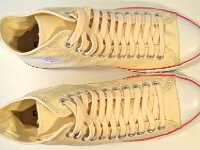 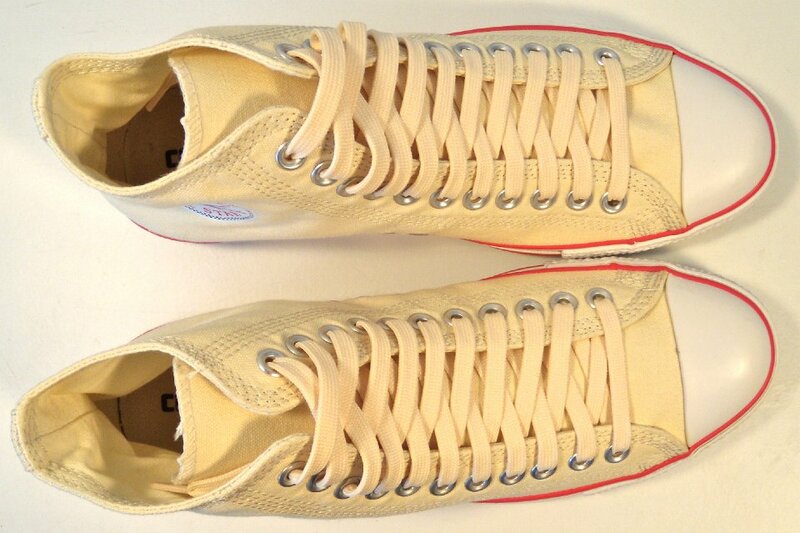 Double details chucks have been made in low cut versions also.